The month of May has been an eventful month (to say the least) for Malaysians. After ruling the country for 61 years, Barisan Nasional lost the general election for the first time, making way for the new government under Pakatan Harapan. The chairman of the winning coalition, Tun Dr Mahathir Mohamad, who was a Prime Minister for 22 years under Barisan Nasional between 1981 and 2003, once again leads the country. There were a number of things promised by Pakatan Harapan in their manifesto during the campaigning period. In less than a month, some of these items have been checked off the list. One of the many downfalls of the previous government was the implementation of the Goods and Services Tax (GST) back in 2015. Before the 14th General Election, Pakatan Harapan, the then-opposition party, vowed to abolish GST in the first 100 days of administration, to alleviate the financial burden of the people. They made good on their promise on May 16, 2018, when the Finance Ministry announced that GST will be zero-rated for all items and services in Malaysia starting from June 1. This means consumers will be able to make their purchases without the additional 6%. Many consumers are rejoicing at the announcement, however, to replace some of the revenue from GST, the Sales and Services Tax (SST) will be reinstated in September. The three months tax holiday will see a spike in spending in the country, especially on luxury and big-ticket items, such as renovation, jewellery, and even cars. So, will prices of items be cheaper when GST is replaced by SST? There is no “yes” or “no” answer to this question because it depends on the SST rate imposed by the government (it has yet to be announced) and also the type of product or service. Some of the products that will likely see a decrease in pricing are vehicles, banking services, computers, laptops, iPads, mobile phones, men’s watches and cosmetics, as these were tax-free before GST. According to Honda, the price of a Honda City S (Standard) post-June 1 will be RM4,282 cheaper than with GST. The overall reduction in prices for Honda vehicles will range from RM4,088 to RM18,072 in Peninsular Malaysia. For those who are shopping for a car, the period between June and September will be the best time to make your purchase. However, items that will likely see an increase in prices are items such as electrical appliances including television sets, refrigerators, air-conditioners, consumer items such as soft drinks and imported fruits, as well as goods like diapers, sanitary pads, and furniture. Items that were exempted from GST will remain exempted. These items include private healthcare, private education, and sale or lease of residential properties. 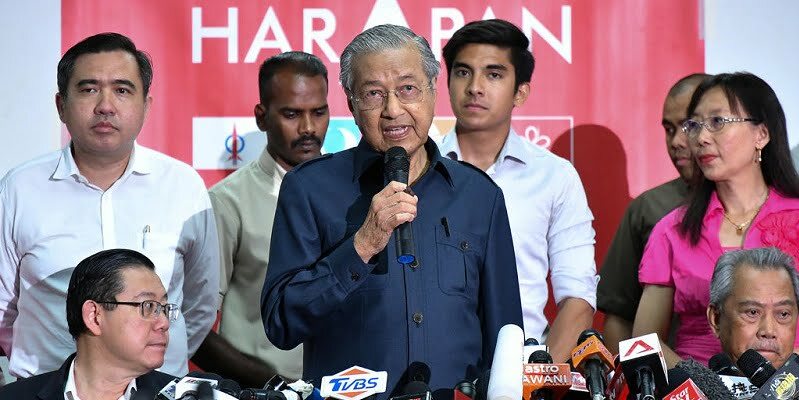 Prime Minister Tun Dr Mahathir Mohamad recently announced that the government will retain the current price of RON95 and diesel at the pumps, but the price of the premium RON97 petrol will be subject to a float system from June 7 onwards. 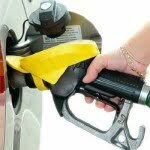 At present, RON95 is priced at RM2.20 per litre while diesel is priced at RM2.18 per litre. The premium RON97 is priced at RM2.47 per litre. These retail fuel prices have remained unchanged since before the 14th General Election, despite crude oil prices rising to US$75.39 (RM299.98) per barrel. The decision is in line with the Pakatan’s manifesto of reintroducing fuel subsidies to targeted groups. The subsidy will be targeted at those with cars smaller than 1,300cc and motorbikes smaller than 125cc. Further details of the subsidy have not been announced at the time of writing. Topping the priority list of the newly sworn-in Deputy Prime Minister and Minister of Women and Family Development, Datuk Seri Dr Wan Azizah Wan Ismail, is the Employees Provident Fund (EPF) contribution for housewives. This is one of the promises made in the Pakatan Harapan election manifesto. Dr Wan Azizah proposed an EPF contribution for homemakers to comprise 2% of the husband’s EPF contribution and RM50 from government funds. She reassured the breadwinner that the 2% will be taken from the current 11% contribution, and not on top of it. The details will be ironed out and announced after her discussion with the EPF officers. Assuming that the breadwinner’s salary increases at 5% per annum, here are the estimated total EPF savings for the homemaker. Based on the assumptions above, the total estimated EPF savings for a homemaker is at RM10,649.03. Of course, the full details of the mechanism have not been decided or announced, the above calculations and example are just for illustration purposes. However, according to the latest report by The Star, after discussion with the top management of EPF and Social Security Organisation (Socso), they found that there are legal provisions that do not allow the implementation of such a scheme. More discussions will be held to find a workaround. Football lovers will have more to celebrate this year as the Communications and Multimedia Minister Gobind Singh Deo announced that Radio Televisyen Malaysia (RTM) will be airing 41 World Cup matches for free. Although the government has allocated RM40 million to broadcast 41 of the total 64 World Cup football matches, the total cost only amounts to RM30 million. Sufficient private sponsorship has been obtained to cover the total cost, said Finance Minister Lim Guan Eng. Pay TV will likely take a hit from this announcement, although Pay TV like Astro will be broadcasting all 64 matches live, in high definition. RTM, which is categorised under the Free-to-air category will be broadcasting 41 matches, where 27 will be shown live and 14 will be delayed telecasts. Astro currently charges RM87 per month onwards for its sports package. In 2009, when Datuk Seri Najib Razak was the prime minister, the Economic Transformation Programme was released, and it described the high-speed rail connecting Kuala Lumpur and Singapore as a high-impact project. However, when Mahathir took over the government, he announced the scrapping of the RM110 billion HSR project within the first month. The reason? To curb government spending and reduce the nation’s RM1 trillion debt burden. According to the former Prime Minister in his Facebook post, the project is expected to create RM650 billion in gross national income and create 110,000 job opportunities, which could expand to 442,000 jobs by 2069. Another project that bites the dust is the MRT3 or Circle Line, which is reported to cost between RM40 billion and RM45 billion. The MRT1 connects Sungai Buloh and Kajang, the MRT2, which is now under construction, runs from Sungai Buloh to Serdang and Putrajaya, and the MRT3 was planned as a loop line to integrate the lines, with most of its stations underground. The line, which was planned to run around the periphery of Kuala Lumpur city centre, would have included Ampang Jaya, Kuala Lumpur City Centre, Jalan Bukit Bintang, the Tun Razak Exchange, Bandar Malaysia, KL Eco City, Pusat Bandar Damansara, Mont’ Kiara and Sentul. The scrapping of both projects would likely affect properties and developments in the affected areas. This will directly affect developers, property investors and buyers who have already bought properties close to the proposed stations of both HSR and MRT3. According to the Johor Real Estate and Housing Developers Association (Rehda) branch chairman Datuk Steve Chong Yoon On, interest in properties near the planned HSR station sites might cool down, but he did not expect prices to drop drastically. Goh Bok Yen, director of MAG Technical and Development Consultant Sdn Bhd., said with the cancellation of MRT3, there will be a need for alternatives, such as an increased bus or coach services, to connect the missing links of the existing public transportation system. With new announcements made almost every day by the new government, it may be hard to keep track of what’s new and their impact on the people. With the recent changes, one thing is for sure, whatever changes made by the new government, the people will hold the leaders accountable. What have we missed out that you would like to see us include in this list? Comment to let us know!